New Color for a New Season! The time has come to change up my color once again using my Shea Moisture Hair Color System. Instead of using the shade Dark Auburn, which was my original color used in my youtube video, I decided to try the Reddish Blonde shade. I have to say, I’m so thankful that I have this very chic haircut because I have the ability to experiment and it still looks cute. 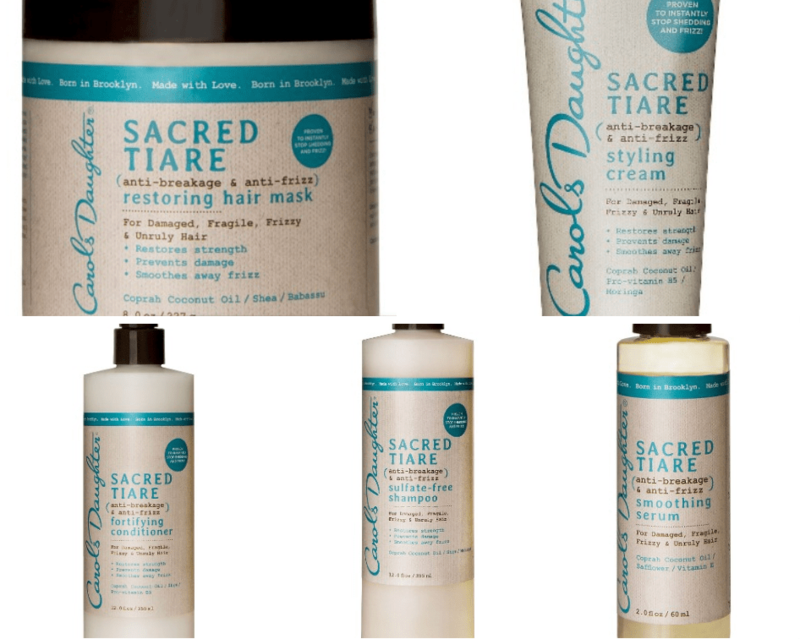 I recently purchased the exclusive line from Target by Carol’s Daughter named “Sacred Tiare”. Some of you may remember my informational blog post about the new line and its claims. As soon as the weekend rolled around, I was excited to try out my new shampoo and conditioner. Below are pictures of my process and my initial thoughts. I deep conditioned before I washed my hair. I’ve been really debating how useful stretched hair is for me these days. When I had a longer hair length, I did all I could to really show off the length of my hair. My shrinkage is pretty bad so I mastered different ways to showcase stretched hair. Now that my hair is cut into a natural tapered style I do all I can just to keep it short without going to the stylist. Eventually I would like the top to fall over but the short style is really nice for my face. In case you’ve been M.I.A on my Social Media Profiles, I posted a few new pics and YouTube Video showcasing my New Tapered Natural Haircut. I love it and the freedom that comes along with it. In a pursuit to keep my blog and Youtube channel interesting and helpful to others, I will also share any methods or products that have been helpful to me with my new style.